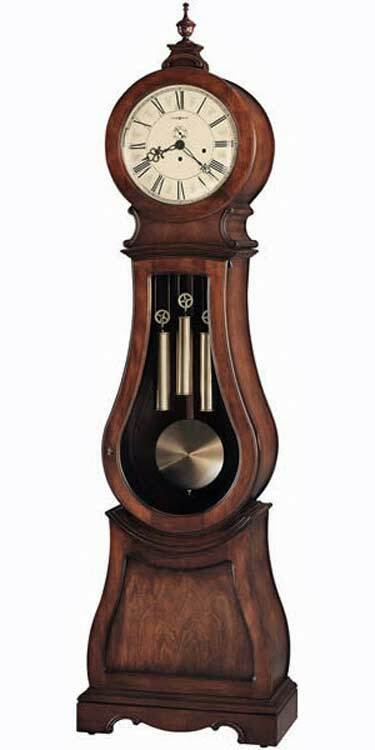 The Howard Miller Arendal Grandfather Clock was influenced by Scandinavian design. 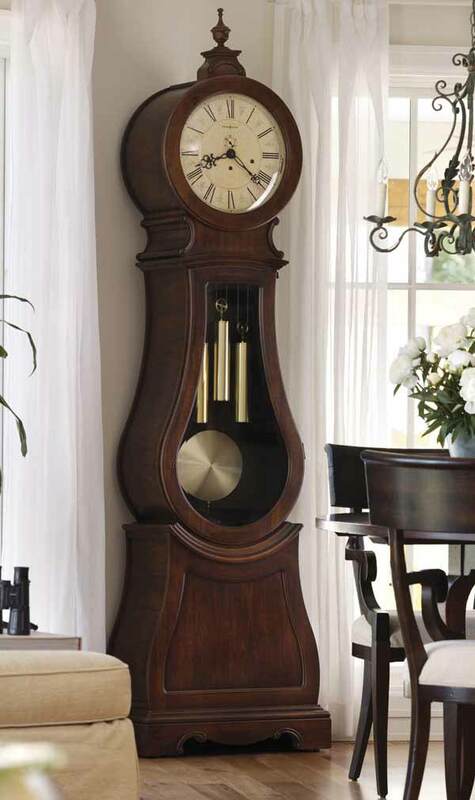 This floor clock is a unique addition to our Furniture Trend Designs Collection. 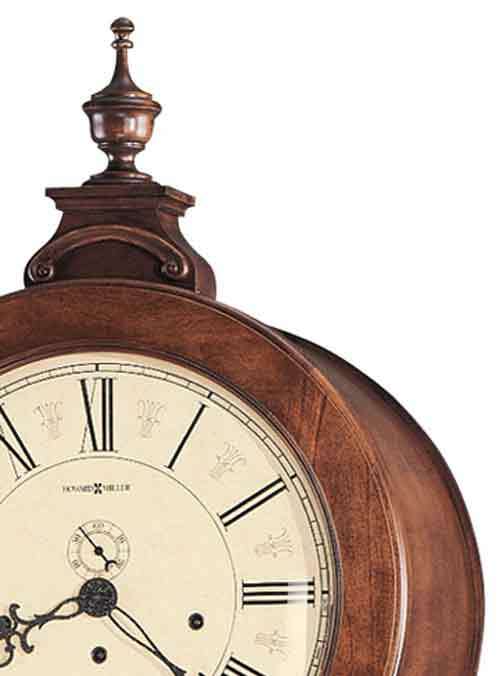 The curvaceous clock is finished in Tuscany Cherry on select hardwoods and veneers. 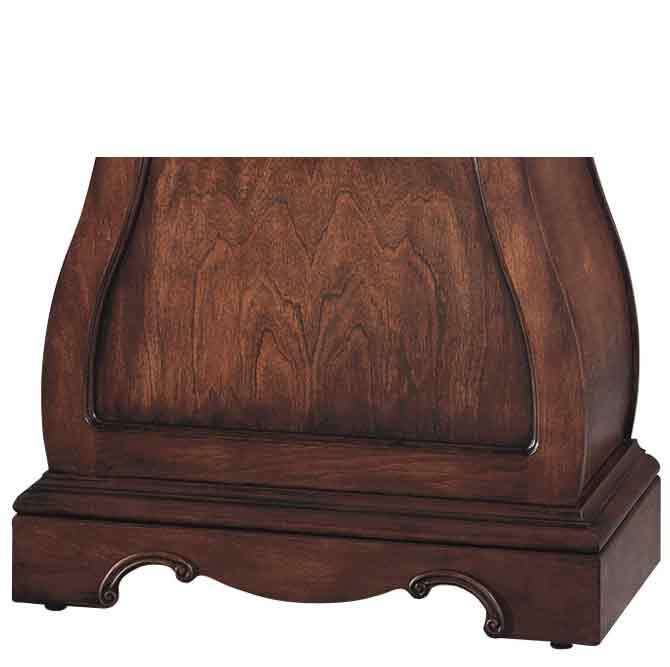 Special details include a convex glass crystal on the hinged top door, decorative carved accents, and a turned urn finial to provide the crowning touch. The finial and finial base are removable. Aged to match the era, the antiqued dial offers Roman numerals, black serpentine hands, and a separate track for counting seconds. The weight shells are finished in brushed, antique brass, which is echoed by the circular brushed antique brass bob on the wood pendulum. Beveled glass on the mid-door defines the clock's curved shape, and a decorative cutout and carvings enhance the sculpted base. 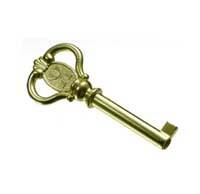 Removable finial for two distinct styles. Cable-driven, German made Westminster chime Kieninger movement plays 1/4, 1/2, and 3/4 chimes accordingly with full chime and strike on the hour. Automatic nighttime chime shut-off lever and all chime silence lever. Clocks for sale at The Clock Depot including the 611-005 at discount prices.